Red Wine, Green Tea and Dark Chocolate: Tangerines, Grapefruits, Diabetes and Healthy Blood Vessels. Tangerines, Grapefruits, Diabetes and Healthy Blood Vessels. What's the connection? 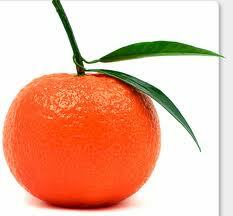 Well in an animal study in Ontario a substance found in tangerines guards against obesity and offers some protection against diabetes and blood vessel disease. The substance is called nobiletin and it protected against insulin resistance and blocked arteries in animals fed a high fat high sugar diet. Two groups of mice were fed the Western diet but one group also got supplemental nobiletin. The mice without the tangerine compound became obese and developed signs of metabolic syndrome—high insulin and glucose levels, elevated cholesterol and triglycerides, and a fatty liver—all of which increase the risk of developing diabetes and heart problems such as cardiovascular disease (CVD). The second group of mice whose diet included nobiletin didn’t experience an increase in insulin, glucose, triglycerides nor cholesterol, and gained weight normally. Researchers said nobiletin protected the mice from obesity and prevented fat buildup in the liver. 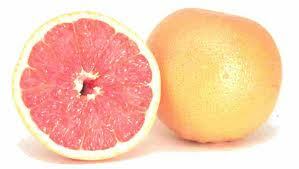 Another citrus favorite, the grapefruit, has shown promise in weight management and diabetes; although, the research on nobiletin in tangerines is showing it’s more potent than naringenin from grapefruit. Read the abstract from the journal "Diabetes" here. The "Dirty Dozen" and The "Clean Fifteen"